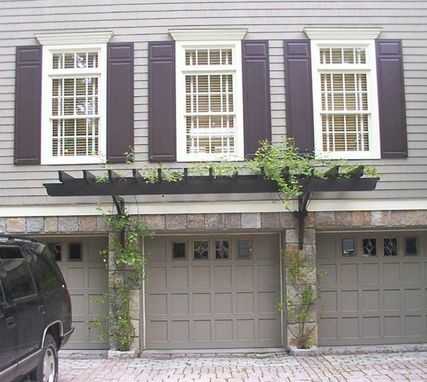 This custom trellis, proportioned site specific, is an elegant enhancement to an ordinary garage entry. 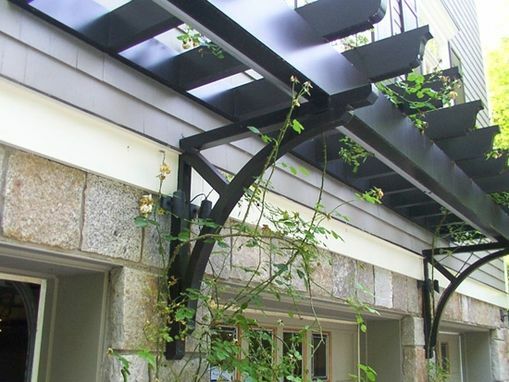 Climbing roses creep up and soften the structure. 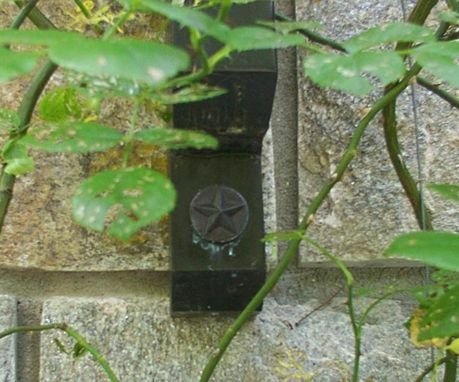 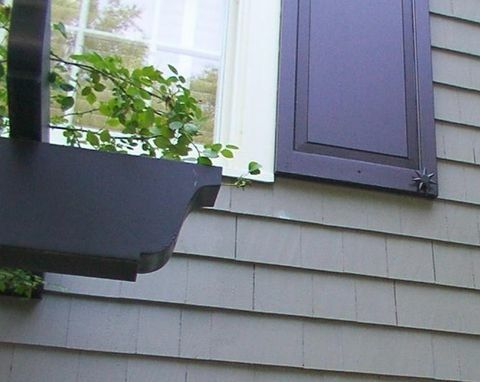 It is constructed from aluminum, a material resistant to rust and corrosion, accent decorative details include ogee end design, custom fabricated star covers to conceal hardware used to fasten it and the finish is flat black.